This week I baked florentines. They are one of my Mam’s favourites and she thought they would be a fun bake for me to do, and she was right. 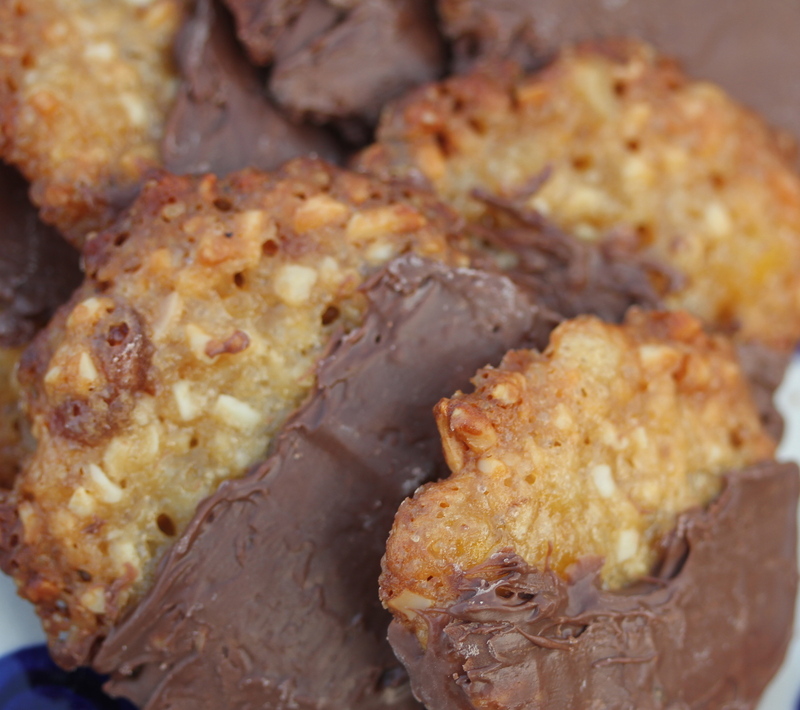 To make florentines you add butter, golden syrup and sugar to a sauce pan and stir it until the butter has melted. Then take it off of the hob and add the chopped glace cherries, mixed candied fruit, plain flour and mixed nuts and stir it in with the butter mixture. Then make them into a biscuit shape and let them cook in the oven for ten minuets. Once they are cooled dip half the biscuit into thick melted chocolate. Did you know :- Its been hard to find information on Florentines. But its likely that Florentines originated from France because the ingredients are similar to those used in France and the florentine biscuit like a Roux which is a French cooking technique. The name Florentine is used by the French a lot in foods like eggs Florentine and quiche Florentine and so it is possible the French used the word for their Roux like biscuit.